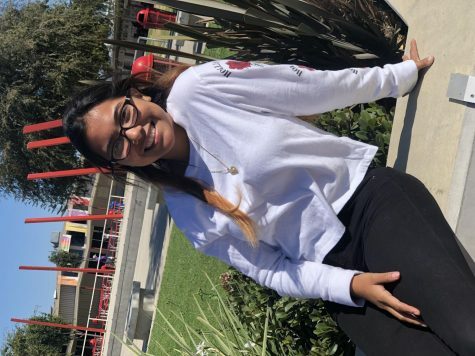 Hello my name is Maria Aguirre, I am currently a senior at Hueneme High School class of 2019. I'm 17 years old. Being here at HHS has been a great experience for me. These past years that I have been here at HHS have been great. I have learned a lot of new stuff being here. My favorite movie to watch is "To All The Boys I Loved Before". My favorite colors are purple and red. When I have free time I like to spend it with my family. A fun fact about me is that I'm full with energy. Another fun fact about me is that I like to do other peoples hair for special events.